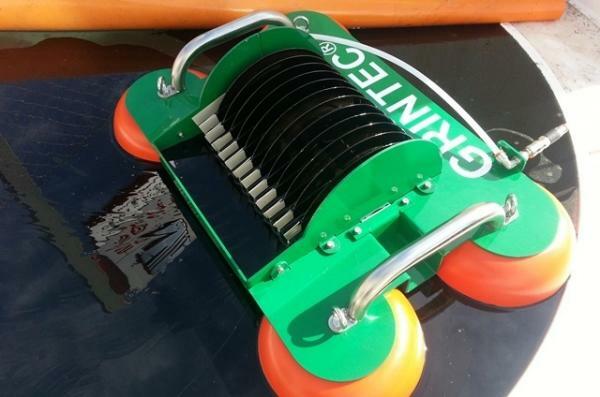 This disk skimmer uses a battery of disks or plates strung on an axis that is perpendicular to the water. The discs repel water yet stick to hydrocarbons. This principle ensures high performance oil recovery whatever the nature and with minimal water content (less than 5%).